This has to be the most interesting time to be working at the intersection of HR, organisation development and technology. There is a lot of buzz around technology as a driver for change in areas such as talent identification and development, or workforce productivity. From working out which candidates are most likely to be our top future sales performers, to providing tools that enable a manager to monitor performance of a global project team. At the same time we have massive changes in our workforce from the rise of the freelancer economy, to skills shortages and demand for 24 X 7 collaboration. With this techno buzz comes heightened expectations on HR from shareholders, employees and the Executive. HR technology solutions and HR strategy are intertwined, so that every HR Director needs to know the opportunities and challenges of new and emerging technology. In 2010, Professor Ulrich said HR must master 6 competencies, including being a Technology Proponent. In other words, HR needs to be a Technology Champion in our organisations. Not necessarily understanding the nuts and bolts of configuration, but ensuring that the solutions will ultimately delivery our business goals and then successfully embed into the organisation. With this in mind I am excited about attending the HR Technology Europe Conference in Amsterdam next week to see some of the technology solutions we will all be using in the next few years. Now this may get the HR Technology Sales Teams excited, but not necessarily for HR Directors who do not want to go through the pain, and expense of divorcing their current HR Technology. What we don’t want is – a lengthy courting process (i.e. sales pitches), where you show your colleagues the new 9 Box Talent Grid, only to realise that your HR Tech spouse is not quite what you signed up for. For some large global projects, by the time the system is fully operational, the HR Strategy and HR Operating Model required to support it might have changed. Any technology that can give us predictable behavioural measures, can be a potentially powerful transformative tool. For example look at How Google Uses Data to Build a Better Worker. However, for most organisations the reality is we do not have Google’s capabilities. Research by Josh Bersin shows that only 14% of organisations have done any significant “statistical analysis” of employee data at all. Let’s face it most of us struggle with the challenge of reconciling headcount data with Finance reporting! To make the most of ‘Big Data’, we need ‘Big Hypotheses’ from HR driven by our Business Goals. Technology should not be about the art of the possible but the art of solving specific workforce problems. For all those who like to combine cutting edge new technology with old Dutch Masters, another good reason for visiting Amsterdam is the reopening of The Rijksmuseum following a 10 year refurbishment programme, yes 10 years! 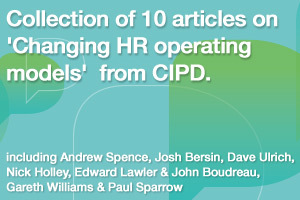 Hopefully your HR Data & Systems won’t need a ‘10 year refurb’ after this conference! I will be blogging and tweeting as part of the Blog Squad at #HRTechEurope, so hopefully will see a few of you Amsterdam! There are tickets still available with a special discounted rate for HR Transformers, so do get in touch for what promises to be an engaging event. 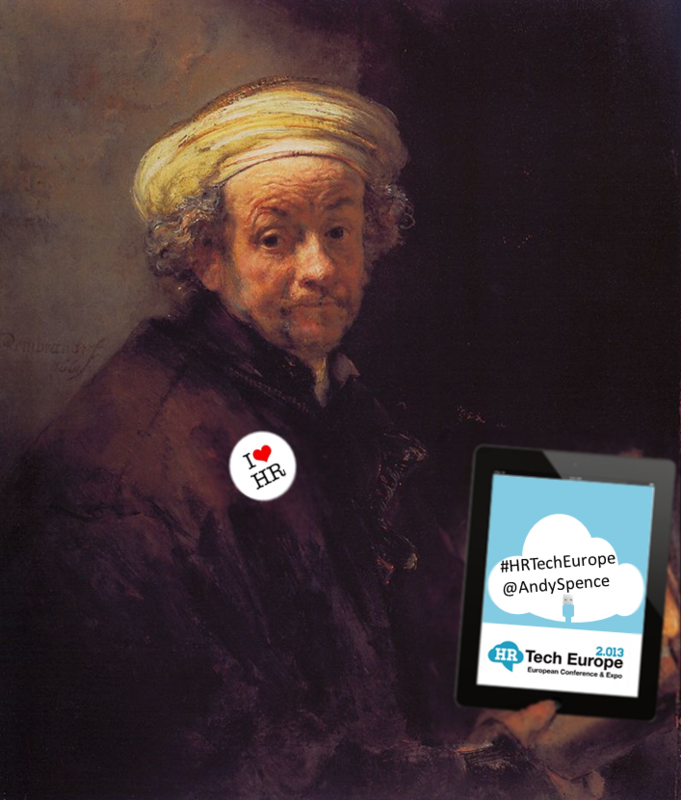 And follow @AndySpence and #HRTechEurope next week. This entry was posted on Tuesday, October 15th, 2013 at 11:16 am	and is filed under Change Management, HCM, HR News, HR Operating Models, HR Strategy, HR Technology, HR Technology Conference, HR Tools, HR Transformation. You can follow any responses to this entry through the RSS 2.0 feed. You can trackback from your own site.